provides a framework to do this. Strategy: What are we going to do and how? 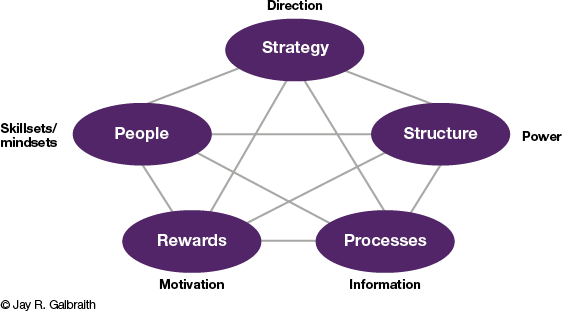 Processes: How is information shared and communicated? Rewards systems: How can we get what we want? in this paper on www.jaygalbraith.com. View it here.